Conveyor systems are more than individual components put together. Conveyors support the production process and ensure that it runs smoothly throughout the whole time. Our conveyor belts and systems come with high quality and flexible adaptive controls. They can be used as an independent machine device or can be integrated in pre-existing conveyor installations. The control allows the creation of product-specific transport processes. The conveyor belts are equipped with knife edge transfers to handover the products gently. Our conveyor belts are specifically desingend to the needs of our customers and adaptale to meet any requirements. 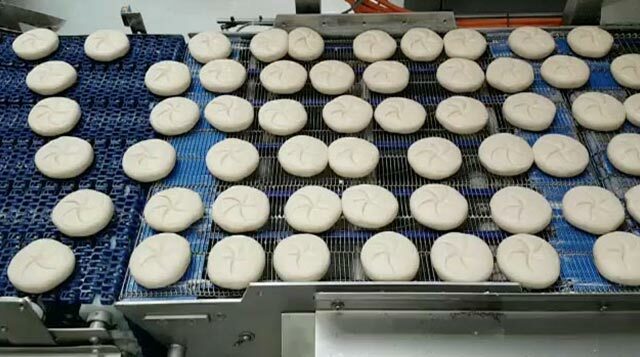 The spray and strew conveyor moistens dough pieces and sprinkle them with seeds. It is designed in a compact form, making it poissible to adapt to smaller spaces. The dough pieces can be moistened and sprinkled on one or both sides. The seed return can be done manually or automatically. 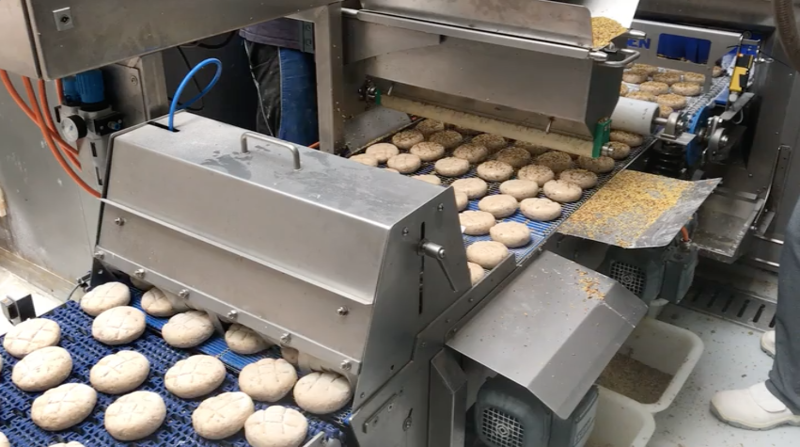 The spray and strew conveyor can be integrated into a system or used as plug-in solution. The Siemens S7 controller allows adaptation to individual requirements. Apeltrath curve conveyors ensure optimal, gentle product transfer. They are characterized by small handovers. The conveyor belt curves are made entirely of stainless steel and food grade materials. The curve belts optimally fit and work with our straight belts. Our straight conveyors have double-sided knife edge transfers for an optimum handover of the products. The straight belts are optimally adapted to our curve belts. The belts have easy-to-handle aluminum crumb drawers. The S-curve belt is available as a plug-in single belt or as a module in a conveyor belt system. It is available as a fixed band or as a mobile and lockable device. The band frame is height adjustable. The S-curve is endued with a roller transfer at the front and a knife edge at the rear. Our ascending conveyor belts are available as articulated belts or as Z-conveyor belts.. The ascending conveyors are available as plastic modular belt with drivers or as coated belt with drivers. The ascending conveyors are designed either to be stationary or to be movable and lockable. The conveyors can be used as a stand-alone solution, e.g. integrated as “old bread conveyor” or in conveyor installations, e.g. as feeding belts for packaging machines (Homburg, S&B). Spiral chutes are used to convey products downwards in the tightest of spaces. Our stainless steel corkscrew chute are stable. They can stand on the ground or be suspended from above. The infeed and outfeed direction can be adapted to the conditions. The conveying direction can be clockwise or counterclockwise.